Gabe likes books. Not only does he like them read to him, but he likes to read them to you. He’ll identify the characters and, briefly, describe the action. 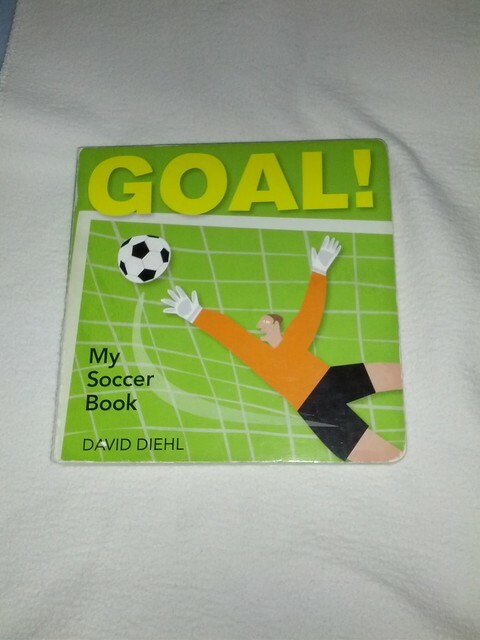 One of the enduring classics in Gabe’s library has been Goal: My soccer book, by David Diehl. Just look at it. This page has it all. From the pathetic expression on the face of the orange-jerseyed victim, clearly flopping boneless to the ground in an attempt to get the call, to the righteous indignation of the offender, hands spread in enraged disbelief at the injustice of the the impassive official, this encapsulates the very essence of discipline in the sport of world football better then anything I have before scene. Naturally, Gabe is a big fan of this page. Being one, he has attempted to fit the players show here into his world. For example, if you were to ask him, he would always inform you that the player being carded is “Momma.” And who has the authority to give Momma a yellow card? Well, “Daddy,” of course. My habit of walking around the house wearing all black and a whistle has really paid off here. And lest we forget, the player being brutally thrown to the ground by Momma is “Uncle Sean.” Those who know Sean, I think you’ll agree that the likeness is uncanny. 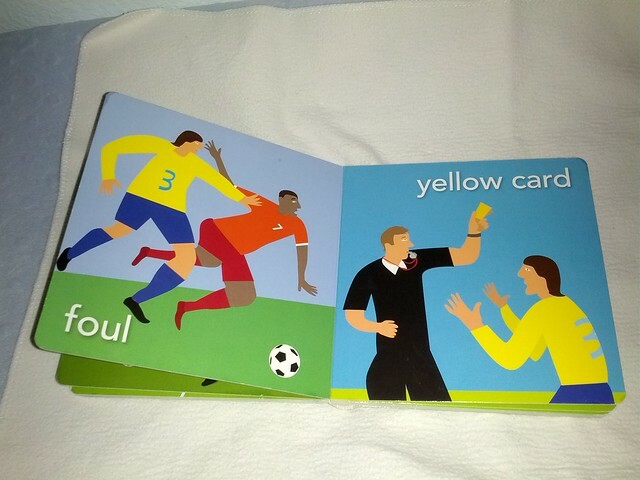 This entry was posted in Gabriality and tagged Books, Foul, Soccer. Bookmark the permalink.